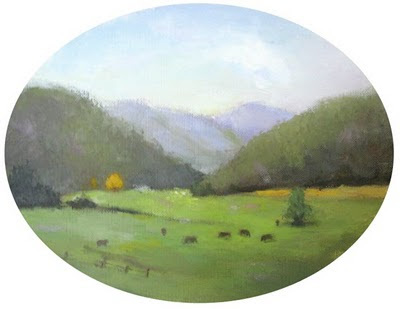 My mother-in-law would like a small landscape, so I painted a scene I photographed while driving in northern Georgia. The goal was to paint a simple, pleasing, and airy landscape. "From Georgia State Route 52"